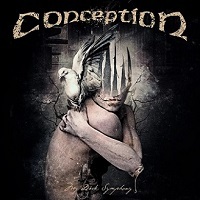 It’s almost magical how life works sometimes because some days after I had finished the article about CONCEPTION’s “Parallel Minds” (you can check it out HERE, if you haven't already), I learned that the band had been reactivated with the original lineup. 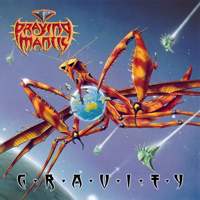 Not only this did mark the return of an important chapter in the Prog Metal history, but it was an exciting statement that Roy Khan was back in his Metal singing duties. However, welcoming Roy back should not overshadow the fact that CONCEPTION were not reactivated just for the sake of playing a couple of reunion shows (don’t we see this happening more than we would care?). Yeah, the four-piece lineup went back to the studio to work on some new tunes, and the first result is the “My Dark Symphony” EP in question. What I really like about THE DEEP is that they're quite hard to label. I mean, there's really nothing odd with their music but it's not NWOBHM not Hard Rock, not Euro and not US Metal. It's really all of the above which isn't that uncommon either but THE DEEP still sounds rather unique based on that mix. 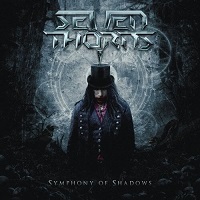 I wasn't all that surprised that I liked the new SEVEN THORNS album, “Symphony Of Shadows”, the Danes’ fourth release since the start in 1998. They impressed me with their performance at ‘Copenhell Festival’ in 2017 but I haven't reacted on their earlier records the same way as this one.